The Dreamhaven mattress collection is designed to offer the quality you expect from the Serta brand at exceptional values. 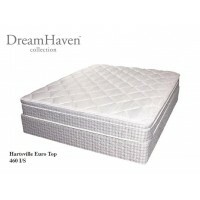 Dreamhaven features the VertiCoil Premier Innerspring, which offers more support and surface coverage than other value-price innerspring systems. Sertapedic also offers a variety of advanced comfort features including Memory Foam and Serta Latex Foam in select models that give you the comfort and support you need, all at an affordable price. The Euro Top model features an additional upholstery layer at the top of the mattress for added softness at the sleep surface, like the Pillow Top. 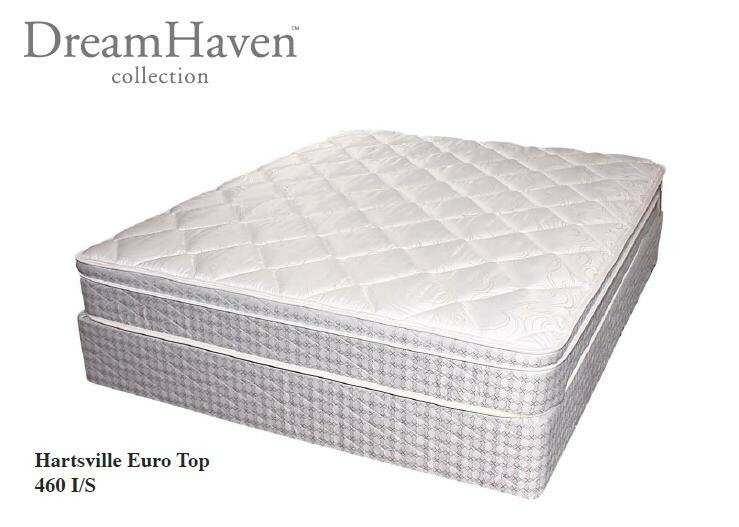 What makes the Euro Top different is its tailoring, which creates a slightly firmer feel than the Pillow Top. This model is recommended for those who prefer the feel of the additional upholstery layer, but want something slightly firmer than the Pillow Top while still feeling the benefits of proper back support.